the second with his daughter. Kt 1963; MRCS 1926; FRCS 1930; BM, BCh Oxford 1926; MCh 1931; DM 1933; LRCP 1926; FRCP 1963; Hon FRCS Ed; Hon FRCSI; Hon MD Groningen; Hon DSc Liverpool 1971; Hon MCh Southampton 1973. 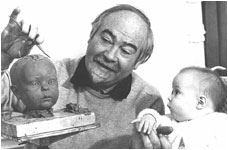 Born: 7 April London, UK. Died: 13 September 1987. Thomas Holmes Sellors, the only son of Dr Thomas Blanchard Sellors, a general practitioner and of Anne Oliver Sellors (née McSparron) was born on 7 April 1902, at Wandsworth. A few years later his father moved his practice to Southend-on-Sea and Tom, as he was always known, went to Alleyn Court Preparatory School at Westcliff-on-Sea, before moving to Loretto School, Musselburgh, and then to Oriel College, Oxford. He secured a university entrance scholarship to the Middlesex Hospital and qualified there in 1926. Following resident medical and surgical appointments at the Middlesex and Brompton Hospitals, he was surgical registrar to Gordon Taylor at the Middlesex. During this period he was the first recipient of the G.H. Hunt Travelling Scholarship, awarded by Oxford University in 1928, and was able to spend some time at surgical centres in Scandinavia. After a thorough grounding in general surgery, during which period he later recorded his indebtedness to Sir Gordon Gordon-Taylor, R.V. Hudson, Tudor Edwards and the physicians R.A. Young and Evan Bedford, he decided to specialise in chest surgery. He was an excellent technician and, with the contemporary rapid developments in anaesthesia, he was keen to devote himself to the specialty. He surprised some of his seniors when his book Surgery of the thorax was published in 1933. 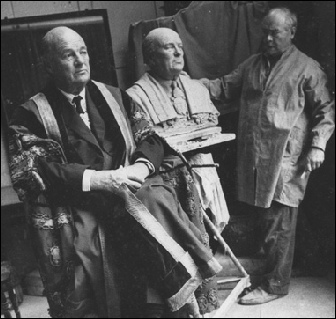 In the early 1930s few of the London teaching hospitals, or the large general hospitals, offered opportunity for the newly emerging surgical specialties. But opportunity came with his appointment to the staff of the London Chest Hospital in 1934, followed by further appointments to the Royal Waterloo Hospital and Queen Mary’s Hospital, Stratford. He also secured appointments at various London County Council hospitals and sanatoria, and started chest units at the Radcliffe Infirmary, Oxford, and at Leicester Royal Infirmary which entailed much travelling by car and an immense workload. Such was the peripatetic and scattered character of thoracic practice in a period when tuberculosis was principal preoccupation of a chest surgeon. 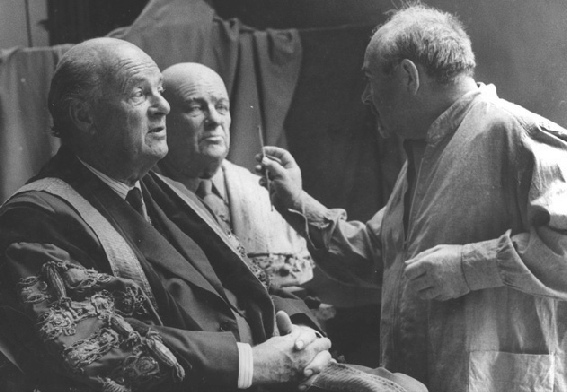 On the outbreak of the second world war he was appointed adviser in thoracic surgery to the North West Metropolitan Region, based on Harefield Hospital, Middlesex, where he worked most happily and productively until his retirement. Shortly after the war, in 1947, he was appointed thoracic surgeon to the Middlesex Hospital where he developed close and cordial relationships with the cardiologists Evan Bedford and Walter Somerville, to whose skilful assessment of cardiac problems he always paid warm tribute. From this time onwards, both at Middlesex Hospital and Harefield, cardiac surgery progressively displaced most of his earlier pulmonary and oesophageal work. As a result of this, in 1957, he was appointed as consultant surgeon to the National Heart Hospital when cardiac surgery became a rather belated function of that institution. In the second half of his surgical life he set up open heart surgery units at these last three hospitals. But he never allowed cardiac surgery at the Middlesex to threaten the work of other departments, such was his concern for the interests of his colleagues. A number of the other hospitals to which he had previously been attached provided opportunity for several of his trainees to establish thoracic and cardiac surgical centres. Ever courteous in the operation room, he was superb craftsman and a master of sharp dissection. He was never known to raise his voice, nor did he ever blame anyone else when things went wrong. A clumsy assistant might received his favourite admonition “Juggins!”. But he had a devoted and enthusiastic band of trainees, some of whom became internationally renowned and several of whom predeceased him. To all of them he was affectionately known as “Uncle Tom.” He was up at daybreak, or earlier, often visiting a ward before the residents or day staff were around. His gentlemanly style and good manners ensured excellent rapport with nursing staff and gave immense confidence to his patients. He worked with deceptive rapidity and economy of effort, seldom wasting time with idle chatter, so much so that an astute trainee – anxious to secure his shrewd advice under rather pressing conditions – once hopped into his car and took an unplanned trip from Harefield to London with him. Despite being in the forefront of cardiac surgery in this country, he showed a healthy conservatism in avoiding frankly experimental procedures. Nevertheless, having set out to do a Blalock operation, which proved quite impossible due to dense lung adhesions in a man with bilateral pulmonary tubercule, and noting the tightness of the valvular obstruction, he calmly borrowed a tenotomy knife from a nearly orthopaedic theatre and did the first direct operation for the relief of pulmonary stenosis. It is worthy of report that, on hearing of this operation, one of his rivals then emulated him and got into print first. He learnt his hypothermic technique from Henry Swann and then closed some five hundred atrial septal defects, in which procedure his results were unrivalled at that time. He next unashamedly learnt his cardiopulmonary by-pass technique from John Kirklin, by which time his rapid technique became relatively less essential to a successful outcome. He had retired before coronary artery by-pass was established and later frankly admitted that he had believed the successful anastomosis of such small vessels to be impracticable. From the inception of the National Health Service in 1948 he was active in the medico-political field. This was almost an inadvertent development, surprising in a man who was so deeply involved in his surgical work, but largely due to his public spiritedness and readiness to serve his colleagues. He was chairman of the North West Metropolitan Consultants’ and Specialists’ Committee for some years; was a member of the Central Consultants’ Committee form its inception and its chairman for five years. 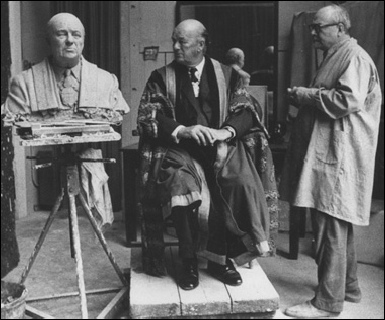 He was elected to Council of the Royal College of Surgeons in 1957. 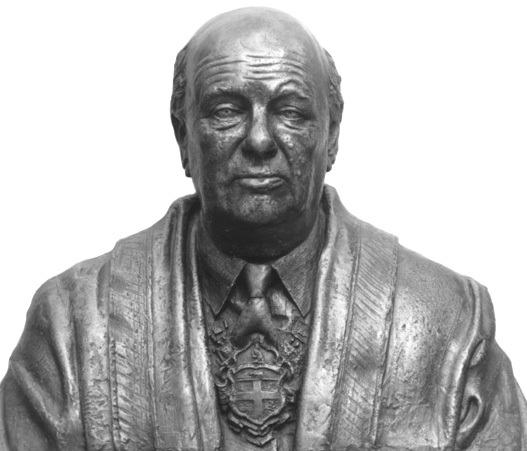 The following year he became Chairman of the Joint Consultants’ Committee in succession to Lord Brain, a demanding task which he undertook for eleven years, having received the accolade of Knight Bachelor in 1963. 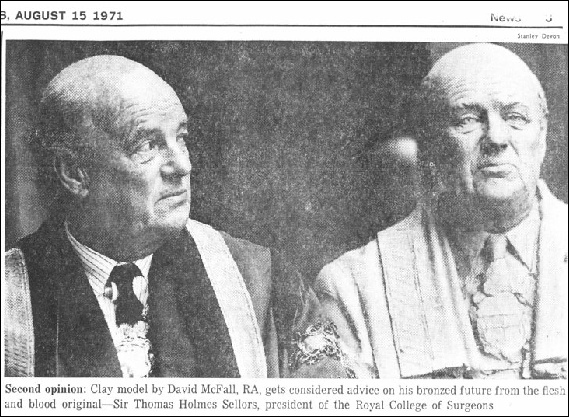 A year after demitting office as chairman of JCC, and having been Vice-President for one year, he was elected President of the Royal College of Surgeons from 1969 to 1972. 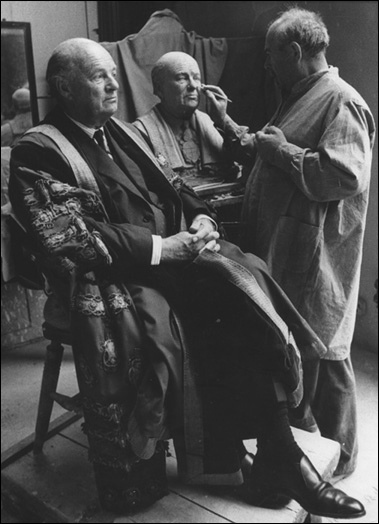 Earlier at the College he had been Tudor Edwards and Gordon-Taylor lecturer, and was then Bradshaw lecturer in 1968 and Hunterian Orator in 1973. He also served as President of the British Medical Association and was awarded its Gold Medal. After demitting office at the Royal College of Surgeons he was elected a College Patron and an Honorary Fellow of the Faculty of Dental Surgery. He was also a member of the Board of Trustees of the Hunterian Collection and ultimately its Chairman. Despite his intensely busy surgical life he travelled widely abroad, lecturing and demonstrating in Europe, India, Russia and South America. 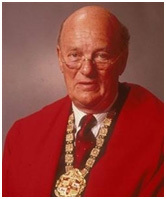 He also visited the United States, Canada, Japan and South Africa, becoming an honorary fellow of the surgical colleges of South Africa and America, the Royal College of Surgeons of Edinburgh and the Royal College of Surgeons in Ireland. He was elected to the FRCP London and to honorary membership of the European Cardiological Society, the Academy of Medicine in Rome and the Royal Academy of Medicine in Belgium. Whilst giving a number of eponymous lectures in the course of his travels he received honorary degrees at Groningen, Liverpool and Southampton, as well as the Medaille de la Reconnaissance Française, and became an officer of the Order of Carlos Finlay, Cuba. He had a strongly international outlook and did much for the generality of surgery and in particular for the International Society of Surgery, of which he was President from 1977 to 1979. Well after retirement from hospital and private practice he supported many good causes. He was Chairman of the Royal Medical Benevolent Fund for five years; Chairman of the National Heart Foundation; Chairman and later President of the Medical Council on Alcoholism. Apart from the publication of his textbook at an early age, he wrote many papers and edited a number of other cardiothoracic works. He had a capacity for graceful living and was a keen gardener and a proficient painter in water colours. Few were privy to the personal tragedies he suffered during a long life of service. In 1928, aged 26, he had married Brenda Lyell, who died of appendicitis a few weeks later. In 1932 he married Elizabeth Cheshire by whom he had a son and a daughter; but, when both children were in their ‘teens their mother developed a stroke and hypertension. She died in 1953 when Tom was at one of the most demanding periods of his life. He married his secretary, Marie Hobson, in 1955, a union which was to last thirty years. Ironically, as the non-smoking wife of a thoracic surgeon, she developed lung cancer and died nearly two years before him. When he died on 13 September 1987 he was survived by his daughter, Susan, and by his son, Patrick, who is a fellow of the College and Surgeon-Oculist to Her Majesty the Queen. 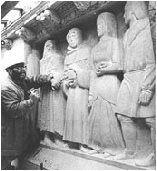 A service of thanksgiving was held at St Clement Danes Church , on 2 December, 1987 when the address was given by Sir Reginald Murley, PPRCS.